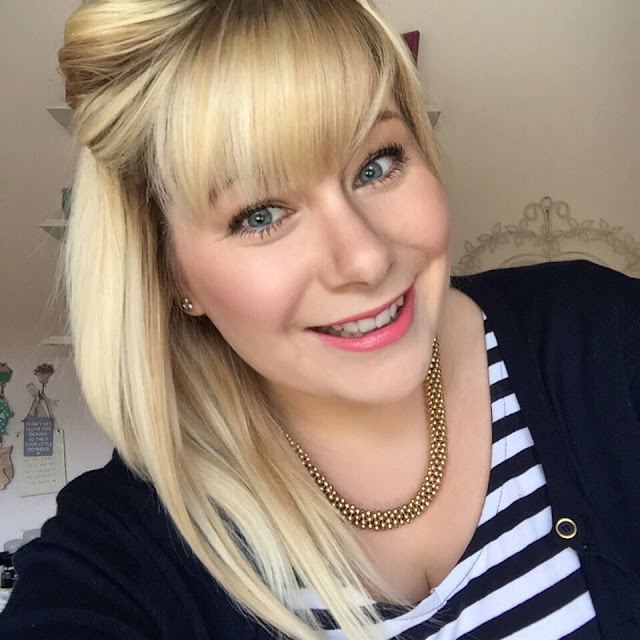 Today's person who inspires me is Steph who writes the blog, Blossom and Bloom Sparkles. Steph's blog has a lovely mix of content. Her posts range from beauty to food to lifestyle and are always accompanied by the most beautiful photos. I love that Steph doesn't allow her illness to define her. The thing that inspires me most about Steph though is her warmth. She's always there with words of encouragement for others and I was full of admiration for her when she contacted me about a Facebook group she had set up to support people with chronic illness. Steph has made an online community where people feel safe to chat about their symptoms, share their stories and support each other. If you feel this might be of benefit to you, you can find it here. It is a closed group so posts are private and do not appear in people outside of the group's timelines. Steph answered a few questions for me and her answers are below. I realised that I'm much stronger than I thought and I'm proud of myself for not giving up. I mean, I know you can't exactly just give up when your chronically ill but I've never given in to the illness and I will always push myself to do what I want too, not let my illness win and define who I am. I don't look to one individual person, but all the girls who suffer with the same illness/illnesses everyday and no matter how awful they might be feeling or how much worse they have will leave just a little word of encouragement on a photo when your feeling down or how proud they are when they've seen you've gone out and done something they know is a struggle! It's a lovely little cosy community full of strong little marshmallows! Obviously illness isn't fun and no one wants to be ill but it's taught me to slow down and actually appreciate the little things in life. It's also made me a more compassionate and sympathetic person, I was always a little bit selfish and thought about myself a lot, now I care how others are feeling and if they are ok! Faye, it was such an amazing idea to make these interviews. And thank you both for this one, really warm and supportive. So glad you are enjoying them Polina!